High accuracy bronze reproductions, Enlargements, Mould masters and more! Need a cost for 3D scanning or replicating a particular object? From our 3D scan to a virtual reality 3D model: We have 3D scanned the below vase and then converted it into an interactive 3D model (above), which you can Rotate (1 finger), Move Up & Down (Two finger slide) and Zoom IN & OUT (two finger spread). Allow up to 20 seconds for the model to load. Photograph of the actual vase we 3D scanned. What are 3D scanning services? 3D scanning services are used to precisely analyse real-world physical objects at very high accuracy. Hence, 3D scanning systems are able to obtain highly accurate three dimensional measurements on an objects overall form. Superscan3D use the latest high resolution technology to capture real-world objects at very high accuracy (up to 0.5mm accuracy). We then import this digital data into specialist 3D digital sculpting and mastering software, in order to create three-dimensional digital models. We then use this data to output high accuracy physical models using either 3D printing or CNC milling technologies. 3D scanning services can be used for a wide variety of applications. Typical examples are producing high accuracy physical replicas of an original object at any scale, making film props or set decoration elements, or producing fine art sculpture scale reproductions. Likewise, we are sometimes asked to produce precise mould masters for heritage conservation repairs of decorative plaster or stone. However, in addition to 3D scanning services, we also provide 3D printing and CNC milling services, in order to convert our amazing high accuracy 3D scans into accurate physical models at any scale. What 3D scanning technology do we use? We use Creaform 3D scanning systems, which are one of the worlds most powerful mobile 3D scanning systems. Such high precision systems were originally developed for high accuracy aerospace applications, thus each system costing upwards of £35,000 per unit. Additionally, such precision technology enables on-site calibration, which allows us to ensure consistent 3D capture accuracy, which is essential for producing high accuracy models. 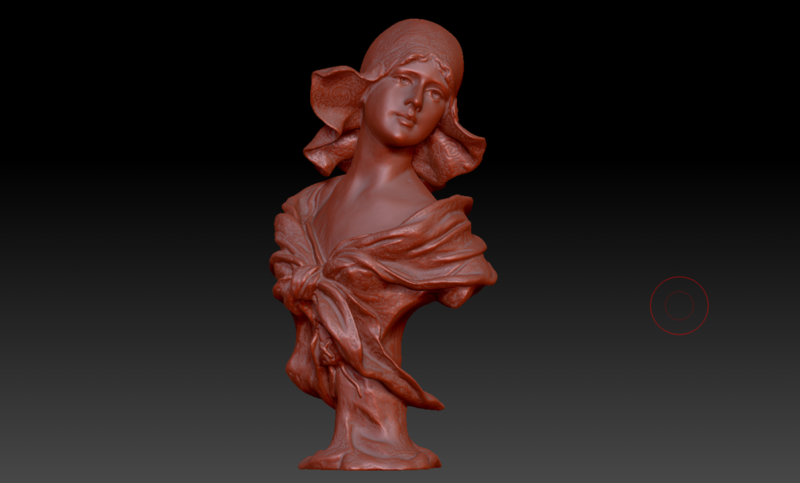 How do we calculate a cost for 3D scanning your object? Geographic location - Where is the object to be scanned? Furthermore, we have a company pricing policy where we won't be beaten on price for a like for like solution. Hence you can always be sure that you are getting excellent value for money. Turning 3D scans into accurate physical models at any scale! We are able to 3D scan an objects and reproduce it as virtually identical physical replica. 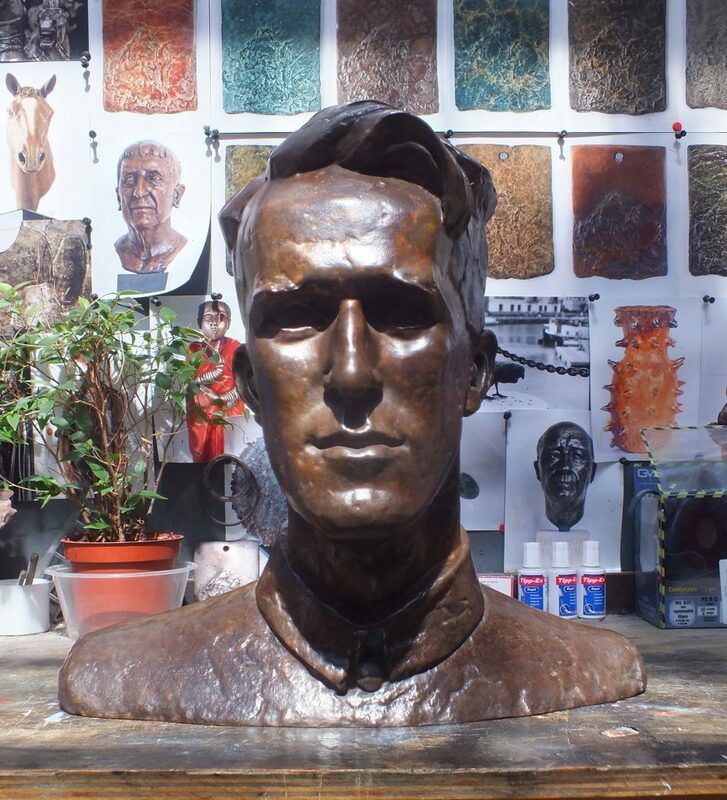 For example; we could 3D scan a 1 meter high sculpture and then reproduce it at 1:1 scale (1 meter). Alternatively, we could produce the same scan as a 2 meter high replica, or other variation. The possibilities are virtually endless! 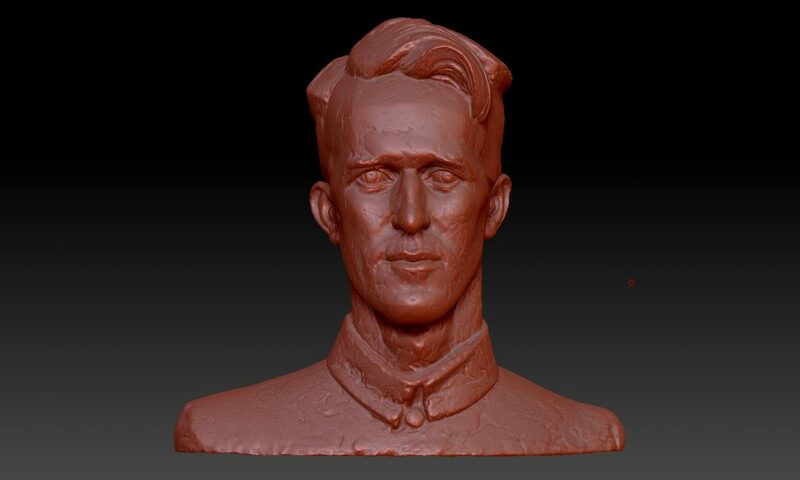 3D Scanning Services - Our digitally mastered 3D scan of an original bust (Touch to ZOOM). Unlike many of our competitors, we only use fully calibrated 3D scanning technology. This means that every 3D scan we produce has a guaranteed resolution accuracy of up to + or - 0.5mm. The below image shows us carrying out a high resolution 3D scan of an important 'Robert Burns' bust at the 'National Trust Robert Burns Museum'. This scan was then 3D printed in order to produce an exact replica for a donations point in the museum (find out more). 3D scanning for the National Trust. We work with a broad cross-section of clients from a wide range of industries. Hence, projects tend to be very wide-ranging. Some clients simply require a high accuracy 3D scan of an object, supplied in OBJ or STL file format. Other clients want a complete end-to-end solution '3D scan to fully finished physical replica'. Whatever your requirement may be, we are happy to provide guidance and advice. Therefore, please don't hesitate to give us a call to discuss. At Superscan3D every team member is passionate about what they do, taking great pride in their work in order to ensure outstanding results on each and every project we undertake. We are delighted to have worked alongside Warner Bros highly talented production team on their latest 'Tomb Raider' release. Our 3D scanning services were used in a variety of sequences throughout the film, in order to achieve various special effects for: Set Decoration, Props and CGI VFX. An amazing action packed thriller not to be missed! Find out more about our work in Film Production 3D Scanning. Click the below links to find out more!